A brand may enter new product categories, new product formats within a category (line extensions), or new markets or market segments. Examples of the latter include taking a brand currently targeted to women and extending it to the male market, or taking a brand that currently appeals to adults and extending it to the teen market. Another example of extending a brand into new markets is extending it down from its current position to the value segment or up from its current position to the premium segment. Often, to designate a premium version or offering, special words or phrases are used in association with the brand name—words such as gold, platinum, limited edition, signature collection, premier, elite, marquis, reserve, private, professional, or executive class. But, in general, the more subtle the allusion to a brand’s premium status, the more effective the approach. The brand can be extended with or without using another associated brand. 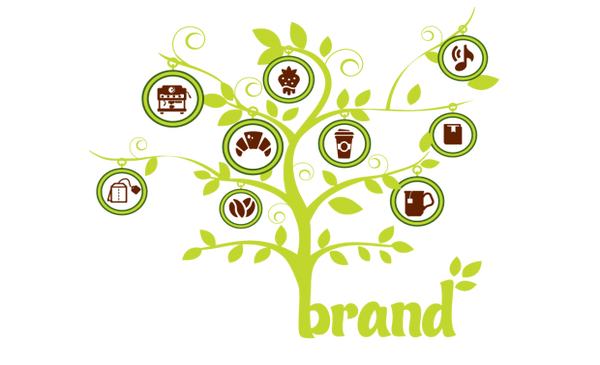 If another brand is used, it may be a subbrand or a brand endorsed by the original brand. Another option is cobranding. Hallmark created the “Confections” subbrand to extend into gift candies, but it did so in conjunction with Fannie May Candies Celebrated Collection (premium) subbrand. The product is cobranded with each company’s brand and subbrand. Cobranding may be a faster way to enter a new category and gain credibility within it. 1. You manufacture the product (or supply the service) yourself. 2. You acquire a company that makes the product (or supplies the service). 3. You source the product or service from some other organization, but put your name on it. 4. You license your name for use by another company that makes the product or supplies the service. Use brand licensing to extend the brand into new categories, expand the meaning of the brand, reinforce key brand associations, build your brand as a badge, or bring your brand to life in new ways. You should avoid licensing your brand when it is not aligned with your brand promise. Where the licensing department resides in your organization structure will have a large impact on how well licensing is used to build (vs. bleed) the brand. 5. You form an alliance or joint venture with another company to supply the product or service.